MacLeod Tartan flashes to tone with your kilt and hose. The MacLeod clan traces their lineage to the house of Leod, son of Olaf, King of Man, which makes this tartan ideal for those with an interest in the Isle of Man. 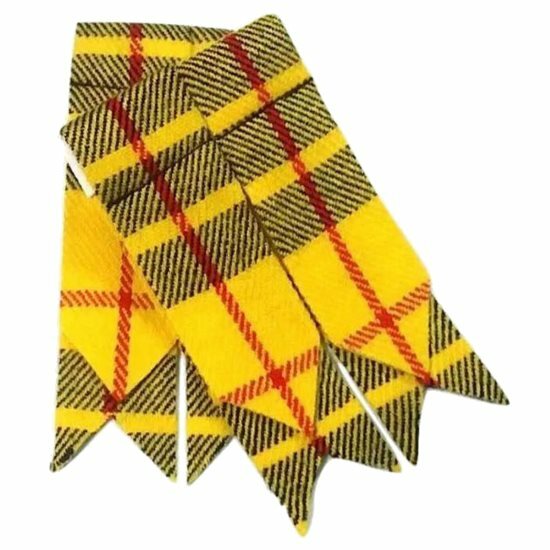 + MacLeod tartan flashes for your kilt socks, cut with traditional pointed ends.